Venue: The good wedding venues get booked up very quickly so make sure you decide on yours well in advance. Even as much as a year if this is possible. If you’re having a church wedding then you will need to organise a reception venue that is close enough for your guests to get there easily. If you’ve having it at a registry office, you will need to arrange a licence with the registrar. Will there be enough accommodation near the reception venue if people need to stay over? Invitations: This is not something you can leave late, for obvious reasons. Not only do you need to compile a guest list, you also need to find a stationer and get your invitations designed; wait for them to be printed; send them out and then wait for people to RSVP. If you want good quality invitations that people can keep, look for a bespoke wedding stationer. Getting really well-designed invitations on high quality paper will cost you a little more but it’s worth it if you want to mark the day and make it really special. It’s also very worthwhile checking online sites like Vivienb’s wedding bespoke wedding stationery; these sites have a wide variety and tend to be cheaper than local retailers. You don’t want your wedding to be stressful. 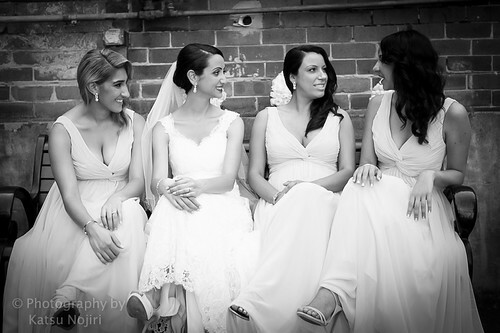 Clothes, Hair and Make-Up: From the bride’s perspective, choosing your dress is probably the most important decision. So take your time and look around plenty of bridal shops well in advance of the wedding. Decide whether you are going to buy ‘off the rack’ or have your dress custom-made. If the latter, you will need to make room for several fittings in case your weight fluctuates between the ordering of the dress and the big day. In addition to this, you will also need to choose clothes for the rest of the bridal party and arrange fittings for those too. As for hair and make-up, if you’ve got your heart set on certain stylists, make sure you book them early enough so you can secure them. Food: When in comes to your wedding reception, one thing you will need to decide upon is whether to have a buffet or a sit-down dinner. The former will normally work out cheaper so it’s better if you have a large number of guests. Talk to caterers to find out what they charge per head and ask to try some taster menus. Aside from this, you’ll also want to choose a wedding cake designer – whether you want an elaborate three-tiered affair or something more modest. Make sure you have looked at all the different things you need to consider. 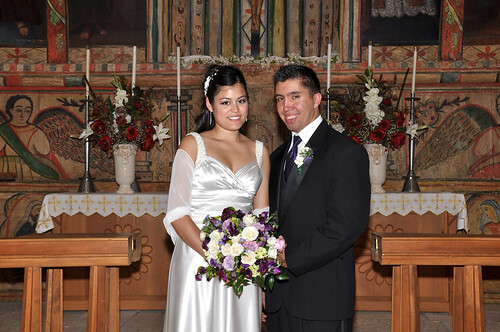 Photographer: You will want to have some visual mementoes of your day so you can look back on them over the years. For this reason, it’s very important to hire an experienced and professional photographer. It’s best to ask for personal recommendations from friends or acquaintances. Also, when you speak to someone you’re considering, make sure you ask to see examples of previous weddings they have worked on to see if you like their style. Music: If you want your reception to have a lively atmosphere then you will need some kind of music to create a buzz. Weigh up the pros and cons of having a live band or a DJ. The kind of music you go for will depend partly upon your tastes and partly those of your guests. Ideally, the people you book should be able to cater for many tastes as you normally get a pretty broad mix of ages at a wedding. Decorations: Lastly, you will want to decorate your reception venue to give it a bit of personality. Possibly the church as well if this is permitted. Go to a wedding florist and see what they have to offer and start thinking about bouquet designs both for you and for the tables at your reception. Aside from flowers, there are other kinds of decorations you can use to dress a room up so go to a wedding shop to get some ideas. Summary: If you have a wedding to plan, have you thought about all the important decisions and bookings you need to make? The following is a checklist of essential tasks to complete so you can avoid any stressful last-minute panics.